Over 90 dimensional works from fifty-five exhibitors include a number of artists new to this venue, expanding the display of contemporary work in a wide variety of media. 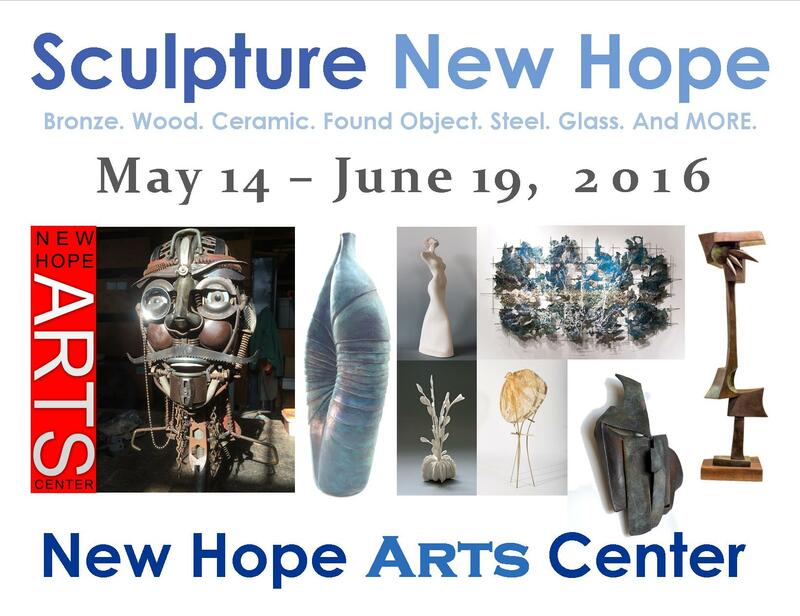 Since 2001 New Hope Arts has honored the sculptural heritage of the community with this much anticipated and enthusiastically received presentation for artists and viewers alike. Participating artists from Wisconsin, North Carolina join exhibitors from five neighboring states. Seasoned juror/artists Elizabeth Miller McCue and Michelle Post have a long-standing relationship New Hope Arts sculpture programs. This year they have curated an exceptional, diverse and entertaining array of objects, wall art and free-standing pieces. The PNC Arts Alive Sculpture Project is a great activity - free, accessible and always on view. Visit the 12 sculptures in New Hope Click for map. See www.newhopearts.org or call 215-862-9606 for more information.